Who Owns Your Vehicle’s Data? You or the OEM? 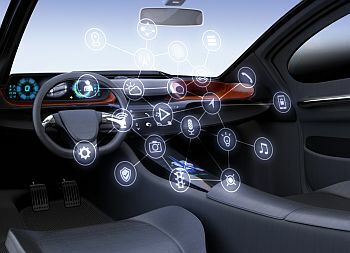 With all the electronics built into and being added to today’s vehicles, it’s often said that cars are computers on wheels, generating and capturing tons of data that fleets are using in all sorts of ways to increase their efficiency, reduce costs and save lives. The question is: who owns the data — you or the company that built the car? This isn’t merely a rhetorical question, though, because OEMs have been studying and planning for years how to make money on all that data by selling it. To whom? Well, insurance companies, for one, but not just them. They want to sell it to everybody who wants to use it, and if the OEMs get their way, that means fleets, too. So, let me ask: how do you feel about paying for your own data? I have a pretty good guess: not good. Not good at all. The issue is one of the items on the agenda at next week’s NAFA Institute & Expo in Louisville, Kentucky. If you want to get in on the conversation about what NAFA is doing to establish ownership rights for those who buy or lease vehicles, you need to attend the “U.S. Legislative Update” hour-long breakout session, run by NAFA’s Washington lobbyist, Patrick O’Connor, Monday, April 15, at 11 a.m.
What you’ll learn is that NAFA is one of 26 members of the U.S. Vehicle Data Access Coalition. Its membership shows how widespread the economic effects of OEMs’ wished-for data practices could be. 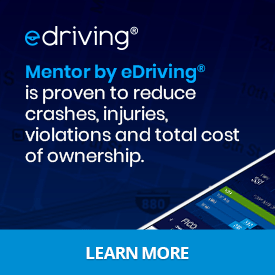 Members include a number of trade associations that represent the interests of consumers, fleets, insurers, rental companies, truckers and the trucking industry, the auto repair industry, after-market parts manufacturers, and five companies that are industry suppliers, including e-Driving, Geotab, GPS Insight and Lytx. Now, I’m not speaking for NAFA or its Government Affairs Committee, but this is how I see it: OEM’s have a right to make a profit on any data services they may offer. After all, it’s going to take an investment in software and hardware to convert any data they collect into usable information. But the owner of the vehicle also has a right to relay that raw data to anybody willing to do the same thing. It might be an insurance company, a repair shop or a fleet itself that may have the in-house capability to analyze and repackage the data. It will be worth a fleet manager’s while to pay attention to this issue, and weigh in with your support if and when NAFA asks you to speak up to help protect your rights and your wallet.